Imagine you are a Lion! You are feeding on a Zebra kill and you had already a lot to eat. So it is a bit hard to move with your full belly. 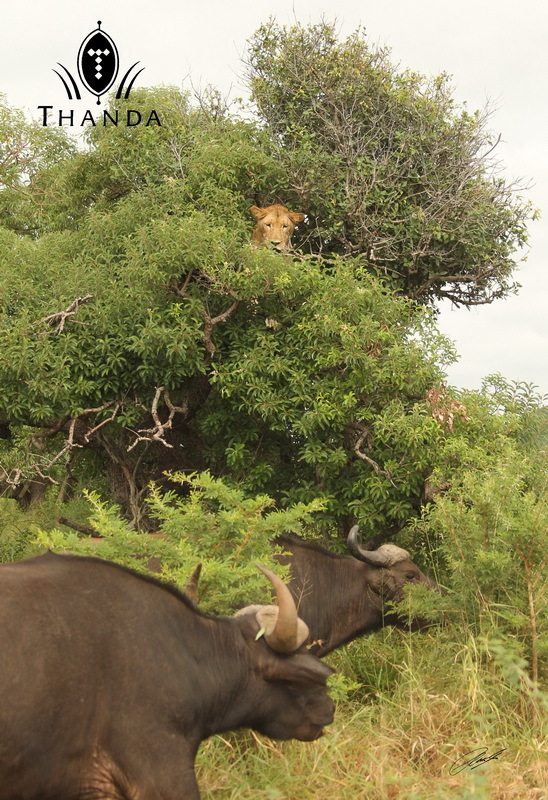 And just as you feel ready for a snooze a herd of Buffalo is crashing the dinner site of your family. They chase all of you around a bit. You climb a tree and find out that the tree you chose was not high enough. 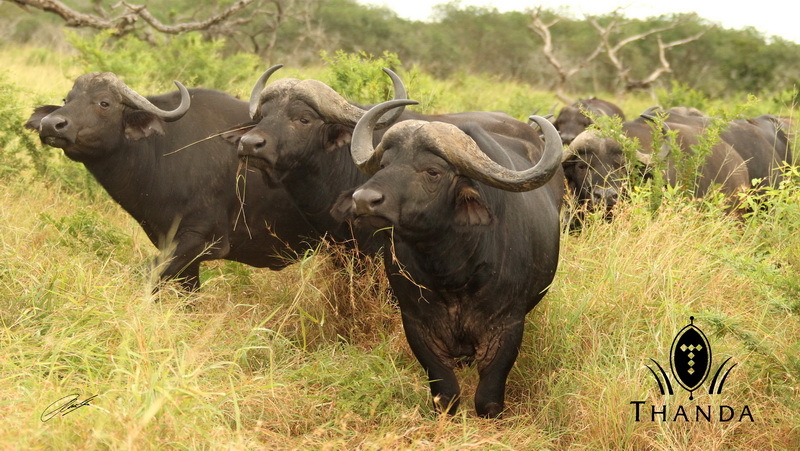 You growl at the Buffalo and they get even more agitated than they already were. At the right moment you jump out of the tree and you flee to the next tree. There you wait until the annoying bulls and cows are gone. Only then can you re-join your other eight family members (coming down from other trees) to continue the meal and the now well deserved snooze. This is a story board if I ever saw one. Love those buffalo. We need some at the zoo. I too love hearing how events of the day playout with the wildlife at Thanda. The photography is outstanding. It’s not an easy life, but I sure do love nature… thank you for sharing! 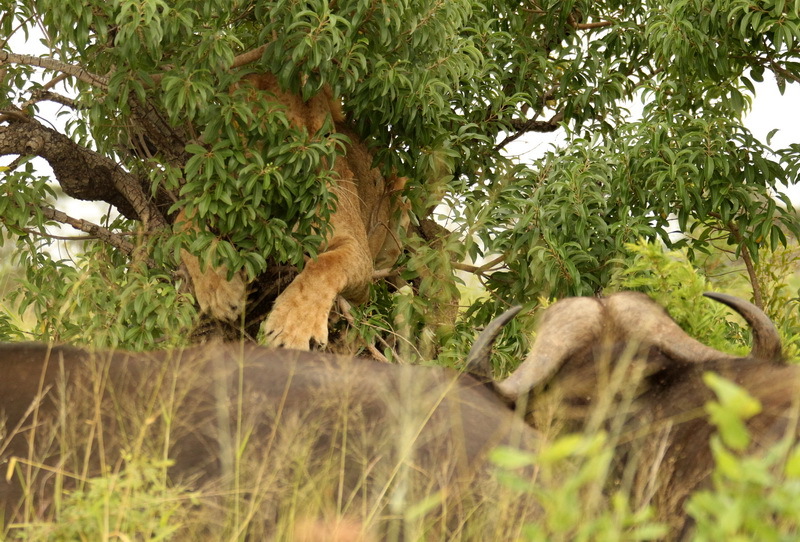 It’s not easy being a lion! 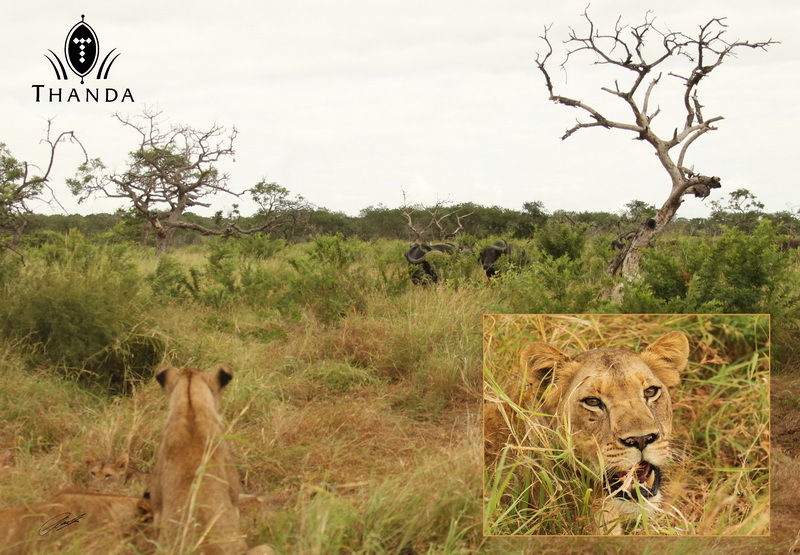 What a wonderful sequence of pictures showing what it takes to be the King of Beasts! Bravo Chris. … and you thought the previous ones were good. Great pictures and great story too!! I have to agree with the person that wrote the first comment to this story – what a wonderful way to keep all your lovely memories alive by following your blog! Safely back in the cold weather in Sweden my thoughts go to you, Beki and Thanda almost every day. Once again, thanks a million for making our stay at Thanda to an experience I will treasure for life! I am a bit envious though – I would have loved to see the sequence above live! Excellent story so beautifully illustrated. Well done Christian! !